This is the Digital era. The world of e-commerce is witnessing an expansion that is leading to a prominent change in the entire retail landscape. It is entirely transforming the way we do businesses. When we think of e-commerce, there’s one thing that instantly surfaces to our mind - traffic. No traffic would mean no sales, and no sales implies no success. It is true that anyone can set up an online store in a couple of minutes, but turning that store into a successful business isn’t a walk in the park. Dozens of logistical operations, marketing tactics, website designs, customer service, product pricing and communication strategies - there’s so much to keep in mind. One of the most important ingredients of online marketing is social media. Leveraging the power of platforms such as Instagram can work wonders. Here are a few statistics that will reinforce the above point. •	According to a recent study, Instagram gives brands 25 percent more engagement than any other social platform. •	Shopify’s analysis found that it generates a higher average order value than Pinterest, Facebook, Twitter and Google Plus. •	If you use the right hashtags, appropriate filters and post at the right times, then you’re well on your way to building a big following on Instagram. Are you thinking about how you can get started? You may try running campaigns or contests, going behind the scenes for your products, and most importantly, showing pictures of your customers using your products. These are called user-generated photos, and they’re an excellent way to demonstrate that you have happy consumers. They act as amazing social proofs. This makes your potential customers see that your products are regularly being purchased by people just like them, and feel more comfortable doing something that others are doing. This is how online fashion retailer J. 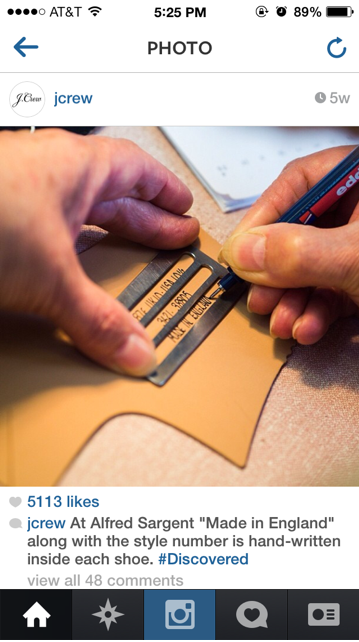 Crew takes its Instagram followers through its shoe-making process. You can also reach your target audience easily through other amazing advertising platforms such as Facebook. Moreover, you could also create traditional ad campaigns that utilize Facebook’s extensive targeting options. They also have remarketing abilities similar to AdWords, which they refer to as custom audiences. By focusing on both these amazing platforms, you are sure to get a lot of traffic for your e-commerce site. Is your e-commerce site doing successful business? You can get the answer easily through your most valuable asset- your customers. Making connections with them plays a pivotal role. One of the most effective ways is e-mail marketing. It is a quick, easy and an affordable way to get in touch with your potential customers. •	Email has an ROI of around 4,300 percent. •	80 percent of people receive marketing messages alongside their personal emails on a daily basis. •	70 percent of people make use of coupons or discounts they learn about from email. •	60 percent of people subscribe to an email list from a business mainly because they wish to receive special offers. 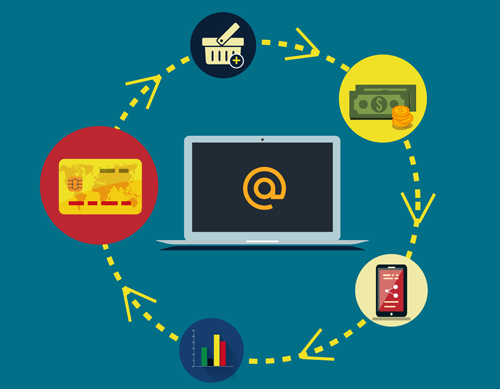 This clearly proves the major role that e-mail marketing plays in e-commerce. Another way of establishing a good connection with your customers is through the use of infographics. They are a great means to deliver the intended message. They receive a lot of shares, which can also help you reach a wide audience. By creating great infographics, you will be able to create more brand awareness. The more eyeballs you get for your infographics, the better the result will be. Organic search traffic, lead and sales - all three can be maximized by using the right SE0 strategies for your e-commerce site. E-commerce sites have their own set of problems and challenges as compared to other websites. With best practices, however, SEO can be of greatest help in generating traffic. Follow these practices for great results. Cart abandonment is one of the biggest banes of the e-commerce industry. And it is in fact a rising concern. According to data shared with BI Intelligence by e-commerce data company, Barilliance, as many as 74 percent of online shopping carts were abandoned by shoppers in 2013. That abandonment rate is up from 72 percent in 2012, and 69 percent in 2011. And this year, the average rate of cart abandonment is 68 percent, according to a study conducted by Baymard institute. In an effort to convert more sales and lower your cart-abandonment rate you could consider using a special offer triggered by exit-intent technology. When it is determined that your visitor is about to leave the shopping cart without completing his or her purchase, an offer can be presented. A great way could be a free shipping offer if they complete their purchase or you could even come up with a special discount coupon. You could also send them an email, reminding them to complete their purchase. These emails don’t need to be fancy. They just need to be encouraging. Take a look at this brilliant example. 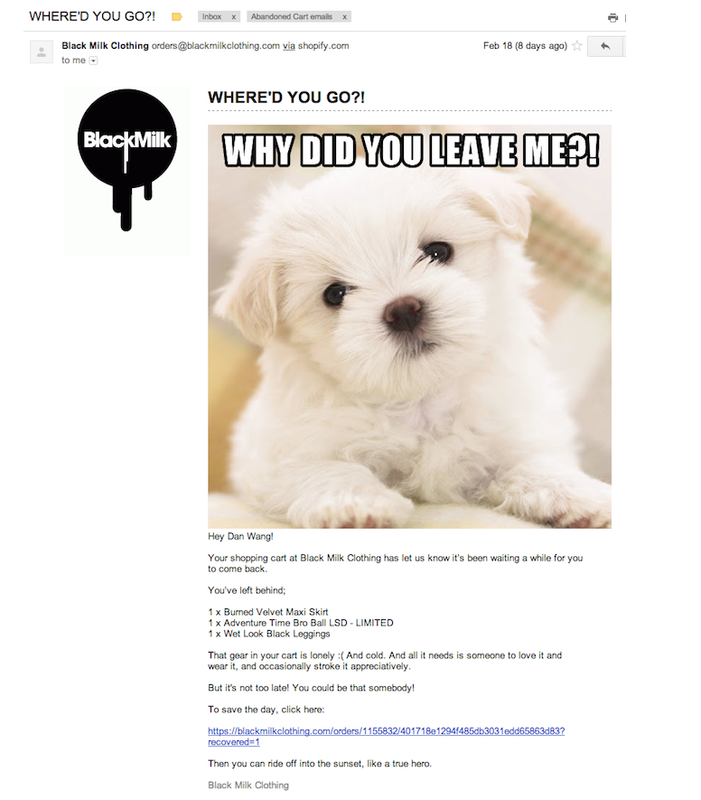 Black Milk Clothing uses this effective cart abandonment email strategy to recover sales. It is important to split-test multiple cart-abandonment offers and to understand what approach works best for your target customers. If you have ever come across this principle, then you would know how important it is to ensure that the checkout process of any e-commerce needs to be really simple. Your job is to get your customers through checkout quickly. Ask them as little as possible and make the process easy for them. The checkout page is the final stop for people shopping on your website. It's the place where they hand over their credit card information and part with their hard-earned cash. Here’s how you can make it easy for them. 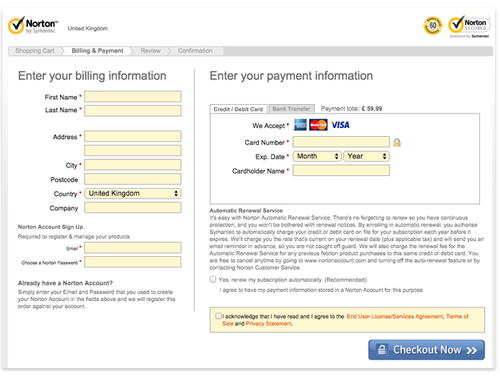 Symantec’s checkout page is a great example of this. For any e-commerce site to thrive, it needs more exposure and importantly more conversions. Right from mastering SEO to engaging with your customers on social media - you need to focus on all the varied aspects. 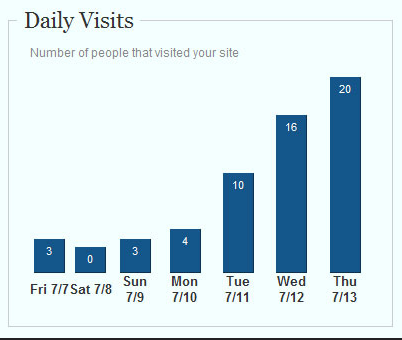 Follow these tips and you will get more targeted traffic for your site.